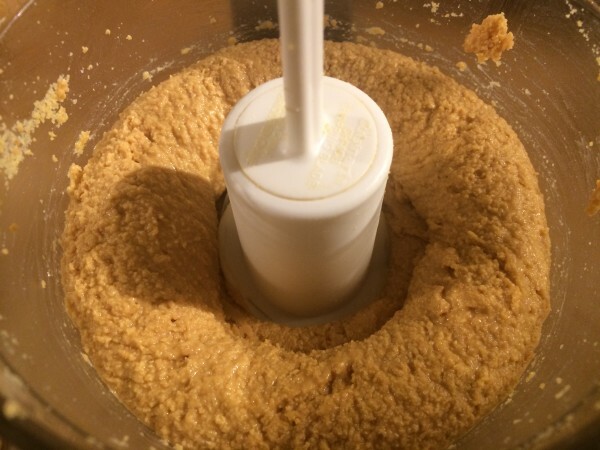 It’s been a while since I tried making my own peanut butter, and so the other day I thought I’d give it another whirl. It really is incredibly simple to make, and as I have just rediscovered, the results are delicious. I really don’t know why people buy this stuff ready-made – the home version is quick, easy and so much better. So, what do you need? 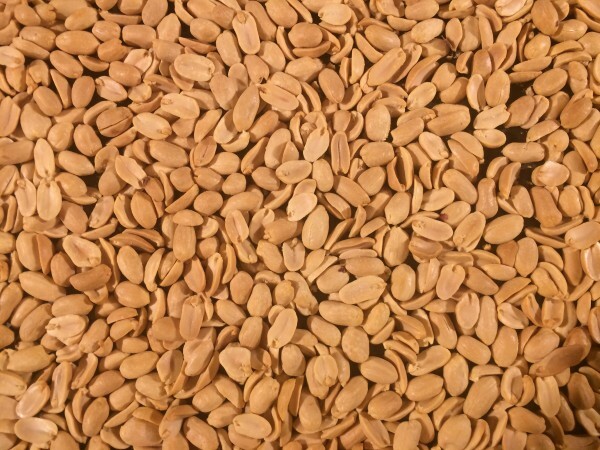 You need a small food processor and a bag of raw or pre-roasted peanuts. That really is it. I’d also recommend a pinch of salt to bring out the flavour, and some people like to add a little honey for extra sweetness. The process is very straightforward. First of all, you need to roast your peanuts. Spread them out on a baking tray and place them in a pre-heated oven at 180˚C (360˚F) for about ten or fifteen minutes. Note: if you are starting out with pre-roasted nuts, you should still do this step as the nuts are easier to blend into butter when they are warm – you just won’t need to keep them in the oven for quite so long. Take the nuts out once they’ve started to brown a little and put them to one side to cool slightly. Whilst the nuts are still warm, put them in your food processor and start chopping. 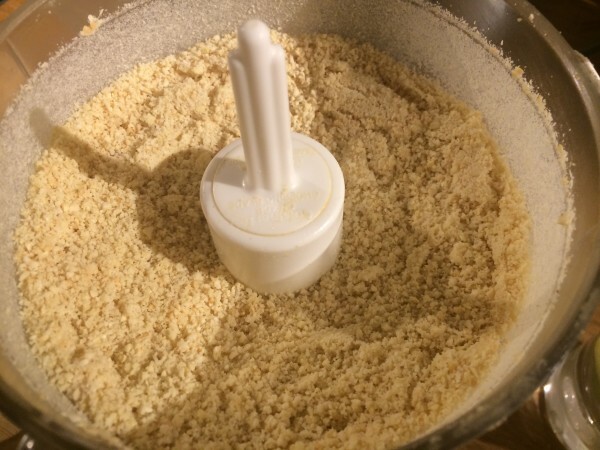 You should to do this in short bursts and use a scraper to push the nuts down from the sides of the food processor. Make sure you don’t overload your processor here – if it’s more than about half full, it won’t blend the nuts properly. If you have too many to fit, just process them in a couple of batches. 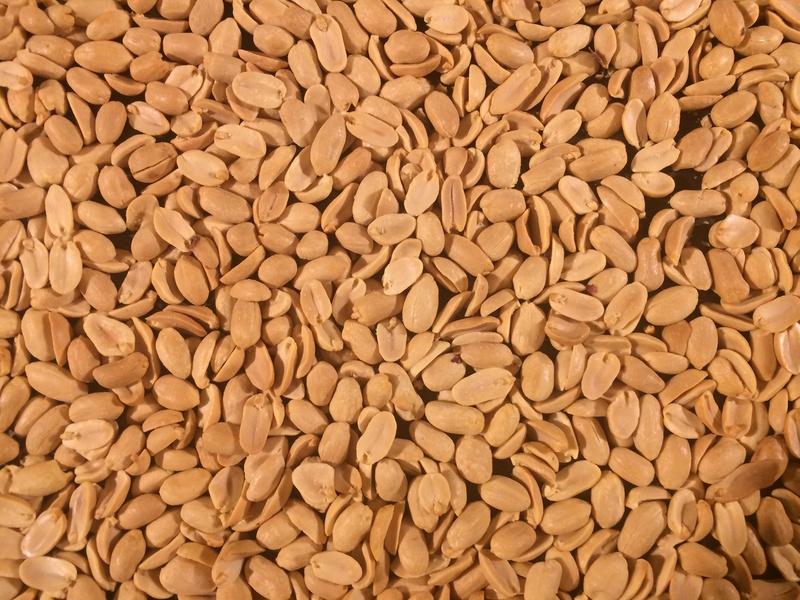 At first the mixture will look like a bowl of chopped nuts – if you want to make crunchy peanut butter, remove a few of the nuts at this stage and then add them back at very end), but it will soon start to resemble peanut butter. Keep on blending until you have a smooth mixture. If your nuts are especially dry, you can add a little groundnut or coconut oil to help the process along, but that’s not usually necessary with peanuts. Finally, add a pinch of salt and, if you fancy it, a little honey to taste. And that’s all there is to it. Eat on bread, crackers, or with a spoon straight out of the bowl. Once you’ve mastered the art of plain peanut butter, you can then start to experiment. Try adding some chunks of chocolate to the food processor along with the nuts (I used Green & Blacks Milk). A little Marmite or other yeast extract also works surprisingly well for a more savoury butter. Of course, you don’t have to use peanuts. Cashew nut butter is made in exactly the same way and is also extremely delicious, although I find that as cashews are drier, they definitely need some coconut oil adding. Pistachios are high on my list to try next, and I bet mixing hazelnuts and chocolate in this way would beat Nutella hands-down! One note on the hazelnuts – best to peel them before grinding. You probably knew that already. Oh yes, definitely. Well worth mentioning though.